If you weren't there, then you clearly missed out. Ever had that fantasy of joining one of those contests on TV where the participants get to fill their bag or shopping carts with anything and everything they want under time pressure? Well, we do, and it happens everytime we get hungry—hungry for shopping new clothing, that is. 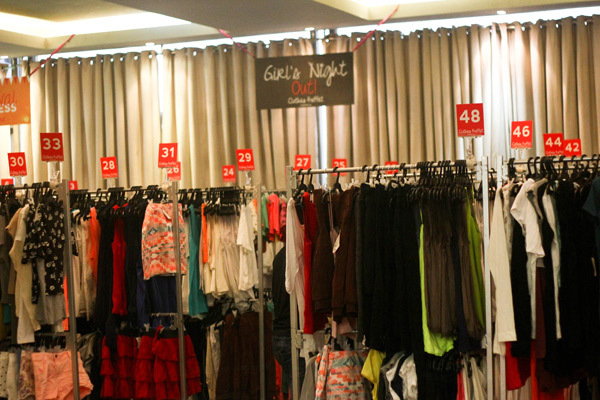 Last October 17 and 18, this dream finally came true through Pretty Penny Productions’ first ever Clothes Buffet Manila. It was every bit our kind of buffet: carb free, fat free, hassle free. 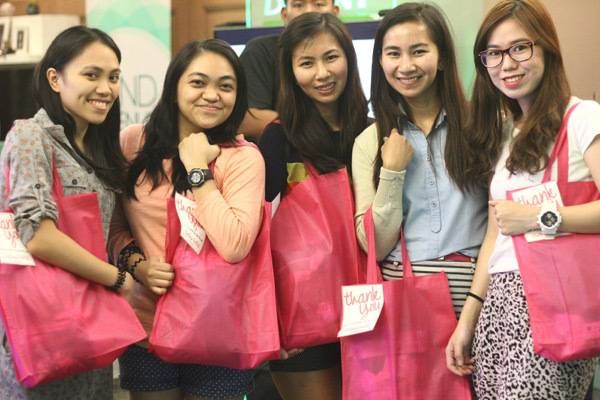 We also practically got some of the items for free, because for only P1999, we got to shop our hearts out. 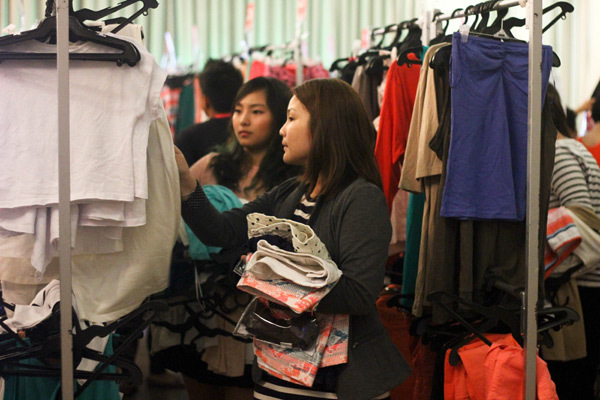 There were 30,000 brand new clothes up for grabs, refilled after every batch of shoppers. We have to admit, shopping can get tiring and even stressful at times, especially if you’re on the fickle side like some of us. 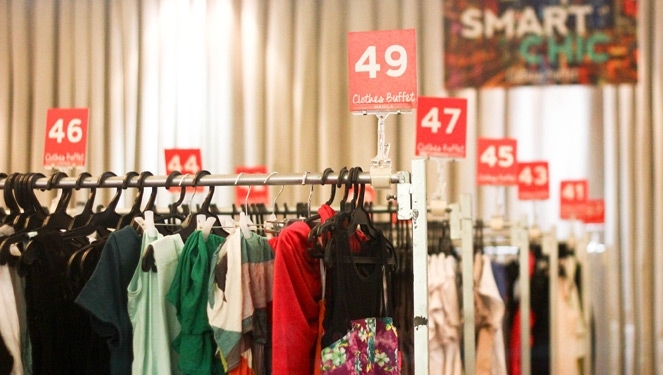 But if there's one thing we learned from Clothes Buffet Manila, it was that time pressure allows us to decide fast, go with our gut feel, and really get the items that we both want and need. 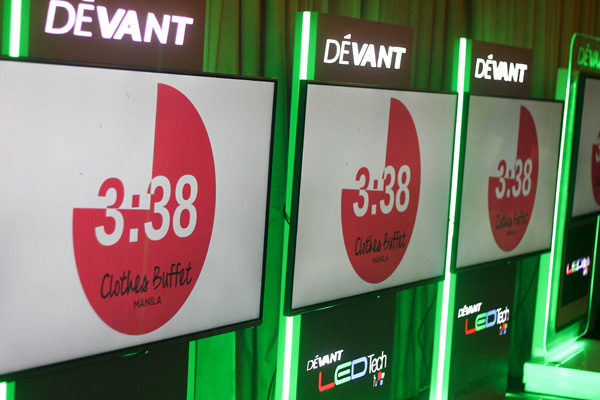 Take a look as we show you what went down at the hot shopping event held at the Ariato Penthouse, Il Terrazzo, Tomas Morato. From breakfast to dinner, the lines to get a slot (for those who weren't able to book online) were long. 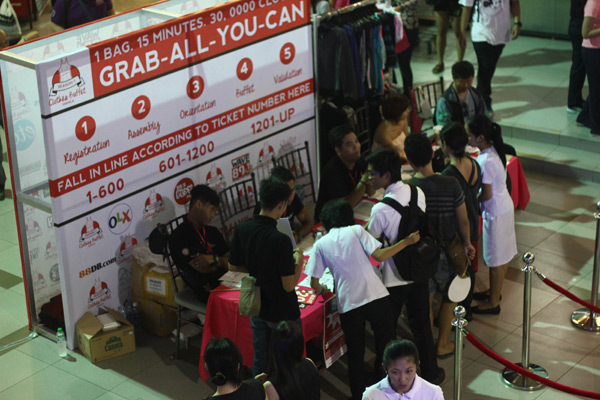 Everyone wanted to be a part of the first ever grab-all-you-can shopping event in Manila. 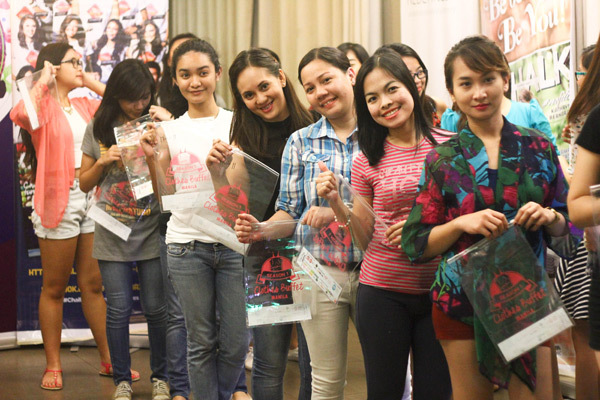 As soon as they're done with registration, shoppers gleaming with excitement were handed their shopping bag and led straight to the penthouse. For 15 intense minutes, the shoppers dug through the racks of clothes and literally grabbed everything they set their eyes on. There were television screens all around the shopping venue, along with an announcer armed with a megaphone reminding shoppers that the clock is ticking so it's time to start pushing and folding. Everyone's folding skills were put to the test. Ladies are clearly not to be underestimated because we saw a handful who were able to fit over 10 items in the bag! 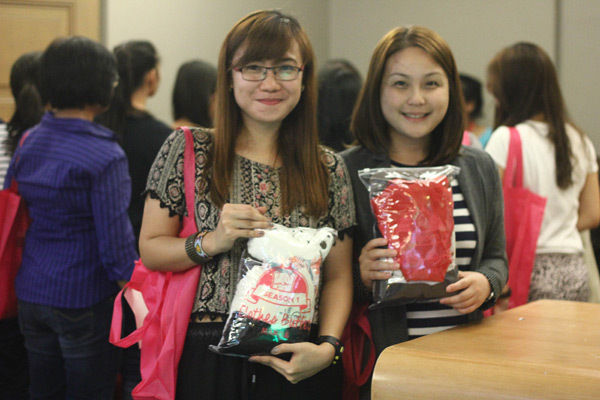 Here are happy campers Caroline Calibo and Karen Batenga showing us their filled bags. Seizing everything you like at first and then sorting them to fill the bag with only the ones that are worth taking home may sound stressful, but in all honesty (we got to try it ourselves) it was surprisingly a lot of fun! The unique shopping experience the ladies got to enjoy with friends and family proved that there’s nothing like a bit of shopping to make a girl smile from ear to ear—no matter the scenario. Even celebrities like Maggie Wilson and Nadine Lustre joined in the fun along with hundreds more shopaholics making the first ever of its kind shopping event in Manila a resounding success. Now you know what we're craving for? The next season, that’s for sure!